I love Dwayne ‘The Rock’ Johnson and Jason Statham, and I’m not ashamed to admit it. I think they’re too actors who know exactly what they can and can’t do, and they’re always entertaining on-screen. 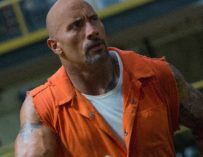 Dwayne Johnson joined the Fast & Furious franchise in the fifth installment, and he’s now known as ‘franchise viagra’, since his introduction helped it go from strength to strength, both financially and in terms of spectacle. Now, even though Vin Diesel is still one of the headline stars, Johnson and Statham are to two main reasons why I find this franchise to still be relevant. 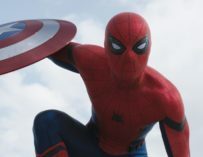 These two action stars have pretty much brought the franchise into the superhero genre. 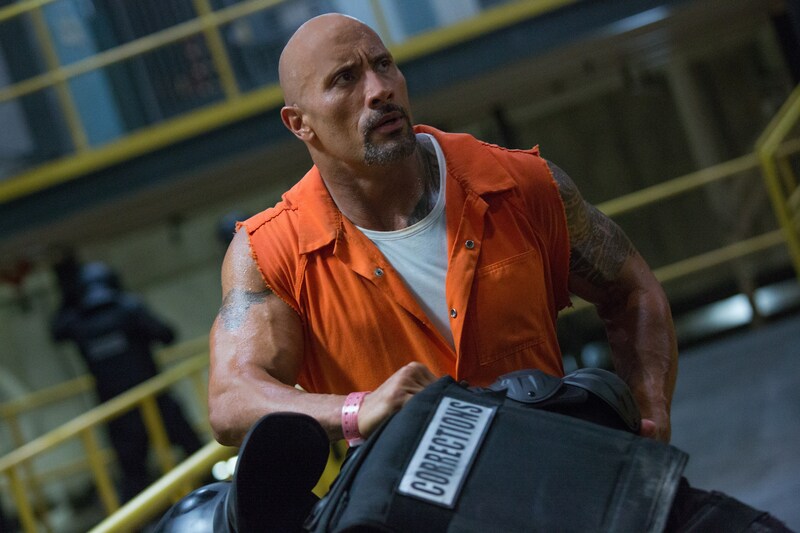 The Rock does things that no other human can do, and Statham perpetually performs some Captain America-esque stunts. He even has a similar sort of kick. Johnson literally surfs on ice so that he can catch a torpedo and aim it towards an enemy tank. 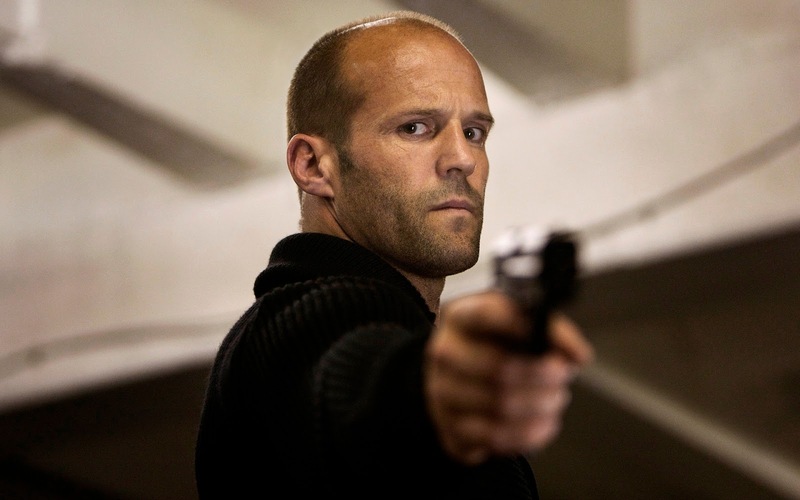 Jason Statham has a whole scene on an airplane that wouldn’t be out of place in Bond movie – minus the baby. I will beat you like a Cherokee drum! I’m not saying that Vin Diesel’s now irrelevant. 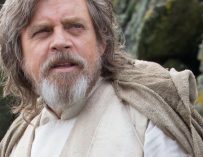 His character is actually more interesting now than he’s ever been. Diesel gets to play with the duality of Torretto’s personality and he does more acting here than ever before, whilst sharing the screen with Charlize Theron’s Cipher. Yet, I really think they missed a trick by not getting her behind the wheel and calling the film The Fast and Furiosa. Now that’s a movie I would watch in a heartbeat. Ultimately, the Fast & Furious franchise is now as far removed from the original movie than it possibly could be. There sill are fast cars and shots of women’s bottoms. Yet, what Dwayne Johnson and Jason Statham’s introduction has done is breathe new life into these movies, and without them, I honestly think the franchise would have crashed and burned a long time ago. Moreover, with Paul Walker’s untimely death, I wasn’t sure whether they should keep these films going, but after having seen Fast and Furious 8, the answer has to be, yes. Do you really believe you can beat me in a straight-up old fashioned fist fight? 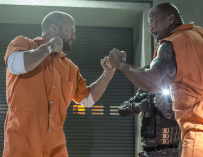 That said, with the news that Universal is planning a spinoff franchise starring Johnson and Statham, I do worry that it might take something away from the main Fast & Furious movies, unless they start to become an Avengers-like affair, in which all your favourite members of Dom Torretto’s team come together. In many way, Fast and Furious 8, otherwise known as The Fate of the Furious, could be likened to Captain America: Civil War. I wouldn’t be surprised to see the Fast & Furious go into space within the next few films. 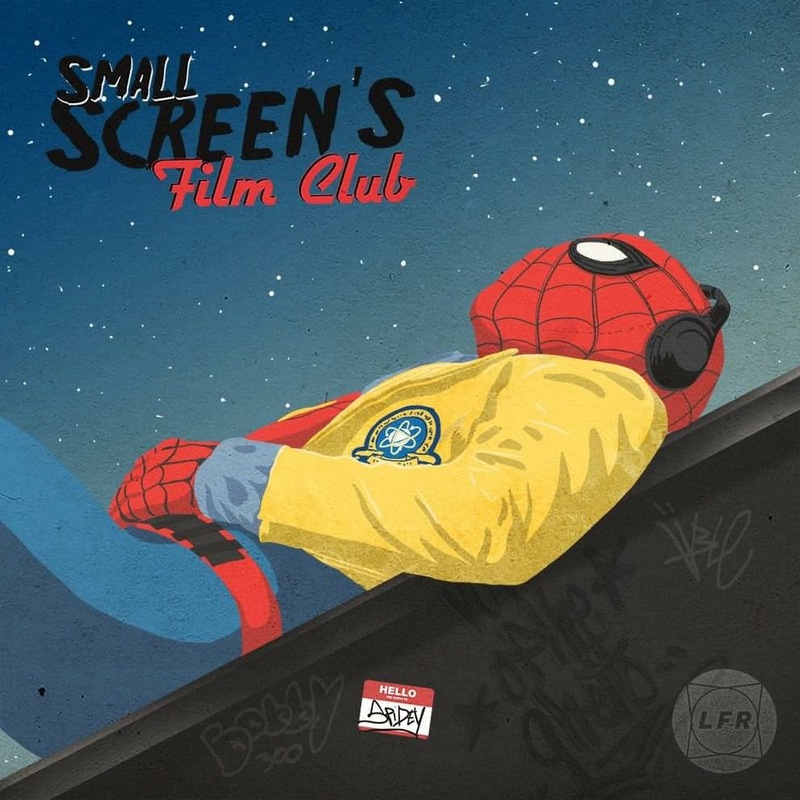 For more thoughts of Fast and Furious 8, check out this week’s episode of Small Screen’s Film Club on iTunes and SoundCloud.